John Shors’ thoughtful novels are all set in the exotic Far East, underpinned by universal themes of a search for love and the bonds that bring people together. Beneath the Marble Sky featured the Taj Mahal, the most exquisite example of love in the world, while Angkor Wat anchored Temple of a Thousand Faces. The setting in each of his novels is integral to the story and functions as a central character. 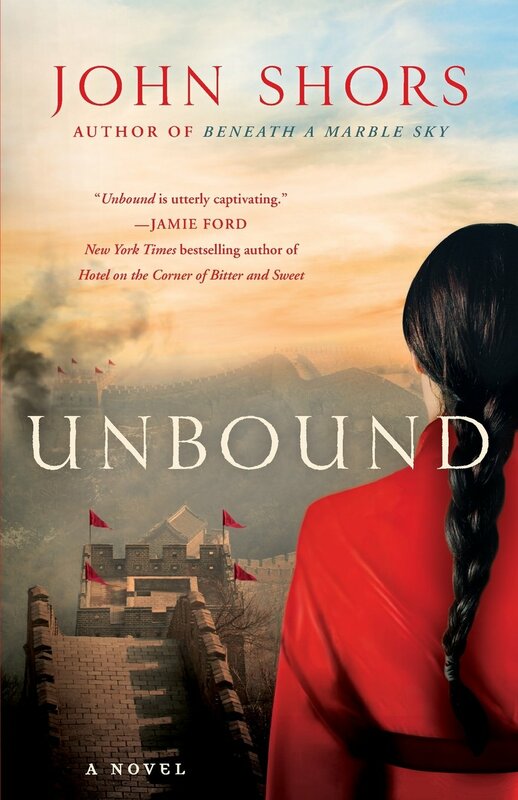 His latest and most expansive novel Unbound is set in ancient China on the Great Wall. The novel is based on the traditional Chinese folktale of Fan and Meng. As with most folktales, there are many versions with conflicting endings, and Shors has chosen one that best fits his themes. The title is an allusion to the practice of foot binding among upper class women, and is contrasted with Meng, a woman of low rank, who uses her mobility—literally and figuratively—to search for her beloved husband Fan. Thematically, she becomes freer the further she moves away from home. The central action of the novel takes place during two weeks in October. A skilled stone craftsman responsible for the upkeep of six miles of the wall, Fan was conscripted shortly after his marriage to Meng. He is as much a slave as Bataar, the captured Mongol boy who must serve him. Each pines to return home to their loved ones. They also share a common enemy in Yat-sen, the commander of this section of the wall. Shors has created a balanced plot in which the lines between good and evil often cross and intertwine. Fan and Meng are clearly modest and righteous. Yat-sen is plainly prideful, boastful, and evil; his counterpart, the Mongol commander Chuluun, is an honorable and steadfast leader and father of Bataar. But what of the greater conflict? The Chinese and Mongols are enemies, but which is the evil empire in this instance? Two ways of life, two cultures are at stake here, and Shors skillfully weighs them and finds both sides of the conflict culpable and honorable, or, at least as honorable as possible when two cultures and their armies collide. 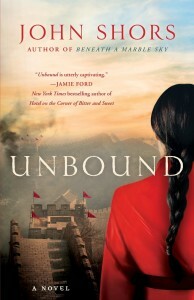 Unbound is a captivating historical novel that brings the sweeping arc of global events to a personal level. It is a love story at its heart: Meng’s search for Fan and his steadfast love for her stand at the core of the story. Fan and Bataar’s growing respect for one another parallels Chuluun’s love for his son. Finally, as in all those great Elizabethan plays, Shors brings all the players together in one sprawling final battle between the two armies and the major characters to resolve the various networks of plot lines.